Set your makeup and take control of oily shine with this mattifying powder. Ideal for oily skin of every tone. Begin by using the sponge side of the applicator to pick up powder from the compact using a dabbing motion. Lightly press onto the back of the hand to evenly dispense the product into the applicator. Next, using a light patting motion, gently press the powdered sponge onto the skin. Apply all over, especially on shine-prone areas such as the forehead, cheeks, nose, and chin (around the eyes, use Secret Brightening Powder For Under Eyes). 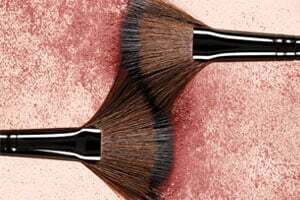 Then use the puff side of the applicator to softly buff away any excess powder for a matte, flawless finish.